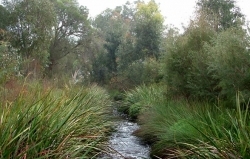 Clearwater, in collaboration with Melbourne Water, will host the CRC for Water Sensitive Cities (CRCWSC) IRP2 to deliver a seminar on the economic evaluation framework, including progress on the existing IRP2 case study based on the Greening the Pipeline project in Melbourne. The IRP2 research project is developing an economic evaluation framework to help identify and incorporate financial, environmental and community values of investments in water sensitive practices and systems. The framework and tools will assist those creating a business case to identify and value these in the investment decision process. This presentation will demonstrate results from one of the non-market valuation studies that have been carried out within the CRC for Water Sensitive Cities. We will also share our progress on Greening the Pipeline case study that will provide quantifiable economic justification for investments to improve the liveability of the Main Outfall Sewer heritage site. Presenter: Dr Maksym Polyakov, Senior Research Fellow, UWA School of Agriculture and Environment, University of Western Australia and CRC for Water Sensitive Cities. Dr Polyakov is an applied economist whose interests focus on the integration of economics and environment. He earned a PhD from Auburn University, USA. Maksym is a Senior Research Fellow at the Centre for Environmental Economics and Policy, the University of Western Australia. His research focuses on the economic valuation of public open space and water sensitive urban infrastructure, spatially explicit bio-economic modelling, and economics of ecological restoration. Within the CRC for Water Sensitive Cities Maksym worked on research projects on non-market values of rainwater tanks, urban living stream improvement, and optimal strategies to reduce non-point source pollution in an urban catchment.